A Supreme Court bench comprising of Justice T.S. Thakur and Justice C. Nagappan on Tuesday held that Non-Residential Indians, just like any ordinary landlords, cannot be asked to prove his title before getting his tenant evicted on any one of the grounds stipulated for such eviction. It noted that Section 13-B of the East Punjab Urban Land Restriction Act, 1949 is a beneficial provision intended to provide a speedy remedy to NRIs who return to their native places and need property let out by them for their own requirement or the requirement of those who are living with and economically dependent upon them. The appeal arose out of an order dated 9th July, 2010 passed by the Punjab and Haryana High Court at Chandigarh, whereby the appellant, Kamaljit Singh’s revision petition was dismissed. The shop was let out by the NRI appellant, who came back in the year 2000 with an intention to settle down and start a hotel in the rented shop. He then filed an eviction petition under Section 13-B of the Act, on the ground that as an NRI in need of the shop for his own use, he was entitled to have the same vacated from the respondent-tenant. By an order dated 5th November, 2004, the Rent Controller dismissed the eviction petition filed by the appellant holding that the appellant had failed to prove his ownership over the demised premises for a period of five years before the filing of the eviction petition. The Rent Controller was of the view that although the sale-deeds in question had been proved by the appellant, he had failed to co-relate the same to the suit shop or other shops over which he claimed ownership. A revision petition was then filed before the Punjab and Haryana High Court at Chandigarh. The High Court concurred with the view that the appellant had failed to prove that he was the owner of the suit shop for more than five years prior to the filing of the petition, a condition essential for invoking the provisions of Section 13-B of the Act. The High Court also held that the additional evidence sought to be adduced was very much within the knowledge of the appellant and could have been adduced by him if only he was diligent in doing so. Additional evidence, could not, observed the High Court, be allowed to fill up the lacunae in the appellants’ case. Section 13-B of the Act entitles an NRI who returns to India to demand eviction of any residential or non-residential building, as the case may be, let out by him or her, if the same is required by such non-resident Indian for his or her use or for the use of any one ordinarily living and dependant on him or her. The only limitation on the exercise of the right vested under Section 13-B (supra) is that the NRI owner must apply for eviction of the tenant only after a period of five years from the date he becomes the owner of such a building and that any such right shall be exercisable by him only once during his life time and in respect of one of the several buildings that he may be owning. The respondent admitted that he is in occupation of the shop in dispute but denied that his possession relates back to the year 1989. The respondent’s case was that he is in possession of the suit shop since the year 1992 only. 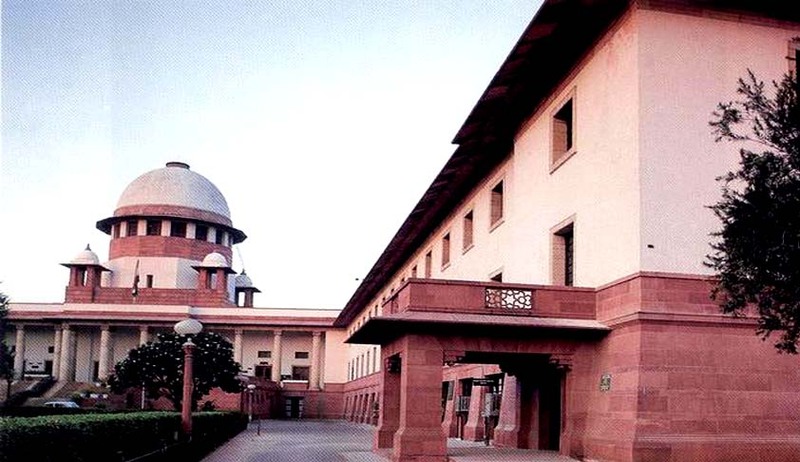 The Court hence observed that, the respondent does not dispute either the jural relationship of landlord and tenant between the parties or the rate of rent settled between them. All that the respondent has asserted is that he has been in possession of the shop since the year 1992 and not since 1989 as asserted by the appellant. The question therefore, was whether the respondent can dispute the title of the appellant over the shop assuming that he was let in possession by the appellant in the year 1992 as asserted by him and not in the year 1989. The Court answered the question in negative. “We say so because once the respondent admits that he has been let in possession as a tenant by the appellant in the year 1992 i.e. more than 10 years before the filing of the eviction Petition, the requirement of appellant being owner of the property for more than five years within the meaning of Section 13-B (supra) would stand satisfied. The respondent would then be estopped from denying the title of the appellant during the continuance of the benefit that he is drawing under the transaction, between him and the appellant. It is trite that the doctrine of estoppel is steeped in the principles of equity and good conscience,” the Court reasoned. The tenant was directed to vacate the premises till 31st March, 2015.